Bangalore, March 8, 2018: These young millennials ‎are working on a concept where cash withdrawals will be an easy task. The students from Oakridge International School are innovating with brilliant ideas. They came up with a solution where ATM lines would reduce and allow customers to complete the whole process of withdrawing cash from an ATM in less than 30 seconds even if they have forgotten their card. The solution is secure as it has a 3-step verification with the ATM pin, an OTP as well as the user's fingerprint or password on their phone. The solution will be integrated into the existing bank mobile applications. Their idea is an application that uses NFC (Near-Field Communication) to make ATM transactions, along with a backup OTP based method in case the user’s phone does not have NFC. This teaches the user about how they can rely more on their mobile phones for things like ATM transactions as well as purchasing goods from a vendor. This can be seen as a small step towards making the country more digital while increasing security and ease of use. To help the students build this application VISA has offered a mentorship for this project and will help them to develop an industry level solution. 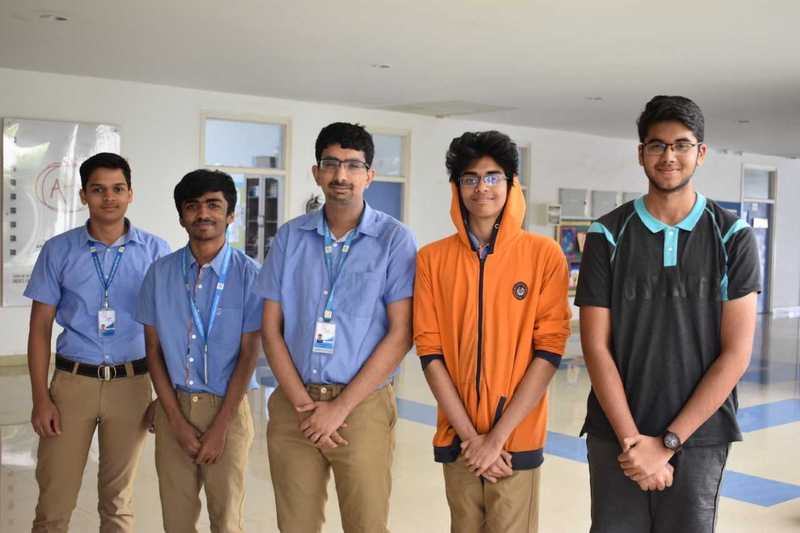 "I am glad that our students are leveraging technology to solve real world issues - a trade mark of a true 21st Century student", said Ms Hema Chennupaty, Principal Oakridge International School.